Cinematic Paradox: Cinematic Paradox Turns Three! This day three years ago, I started this blog. To be honest, I don't remember much of that day. All I know is that things have changed a lot since then. In fact, things have changed in the past 24 hours. As you can probably see, the design has been changed (I hope you like it - please lemme know what you think!). I haven't completely finished it yet, as I have a few images to tweak on my sidebar. I also changed the URL to something a little more professional and fitting for a blog that is three years old. Please please please change any URL's you have in your blogroll, I'll love you for it! Along with that, I have updated my Top 100, and given them a very swanky look. I hope you like it! I've been getting very nostalgic about this birthday, mainly because it has been extremely hard to reach this one. I've lost my mojo a fair bit this year, which was hard to get through, but I managed to work through it. I mean, I feel so lonely down here in NZ. I see all of these bloggers around me going to press screenings, giving away passes to movies, interviewing people, getting mentioned on posters. Andy Buckle gets to interview Paul Thomas Anderson for heavens sake! I have literally nothing to offer you apart from my sterling wit. But at least I have the support of some excellent people. I'm not gonna waste much time here, but here are the people in the blogging world who I love and I'll hope that you'll love em too...if you don't already! Tyler @ Southern Vision - One day, I hope that Tyler will come back to the blogosphere. Letterboxd is not for you Tyler. Wordpress is. Okay, if you don't wanna come back, that's cool. But we're all here waiting for you if you do! Ryan @ The Matinee - My blogging idol. One day I hope that I can get to his level. Ruth @ Let's Be Splendid About This - I adore Ruth, and I don't know why it didn't occur to me to meet her while I was in Melbourne! I'm coming back though, so we can awkwardly drink tea and go to the Pancake Parlour. Too bad if you don't like pancakes. Mette @ Lime Reviews and Strawberry Confessions - Mette is really sweet too, with an excellently designed blog. Plus, it is her blog birthday tomorrow, so go wish her well! Nikhat @ Being Norma Jeane - My blogging soul sister. Not a day goes by where I don't wait for Nikhat to post again so she came make me laugh. Andy @ The Film Emporium - Andy has done so well this past year, and I'm always looking on his site to see what new releases are good. He always has it sorted. Jessica @ The Velvet Cafe - My blogging mother. Jessica is just the sweetest, kindest person and always has the most interesting thoughts going on at her velvet cafe. Alex @ And So It Begins - Alex always has the best ideas for lists and stuff, and he also gave us the opportunity to see his short film Earrings. It was so cool to see a film made by a fellow blogger! Sati @ Cinematic Corner - Everyone always goes on about Sati's design (which I took a few pointers from, thanks! ), but Sati also has awesome content to match. I could spend hours on her blog. Diana @ Aziza's Picks - Diana's blog has grown so much in a short time, and it makes me really happy to see that happening. Plus, she's a lovely person! Scott and the team @ Front Room Cinema - Scott's blog has grown so much, too, which makes me insanely jealous. Especially because he has the swankiest design. Jess and Rachel @ Reel Insight - These two blogging ladies joined forces for extra awesomeness. I do miss the Sims Screenshots, though! Castor and the team @ Anomalous Material - Another absolutely fabulous blogging idol of mine. One day I hope to get to this level of greatness. Dylan, Kai and the team @ Man, I Love Films - This year's deserved winner of the Best Blog LAMMY. Need I say anymore. Nick @ Random Ramblings of a Demented Doorknob - The biggest fan of Little Shop of Horrors that I know, and also the created of such awesomeness as the Demented Podcast and the Vlog. Steve @ 1001Plus – Also a member of the Demented Podcast, and has an awesome blog to boot, filled with reviews from every era. Tom @ Movie Reviews by Tom Clift – I’m extremely jealous of his trek around the major film festivals, but it has made for some extremely interesting writing. James @ Cinema Sights – He has introduced me to a whole lot of movies that I never would have even heard of otherwise, and he’s the biggest Malick fan I know. Mettel @ Mettel Ray Movie Blog – One of the sweetest bloggers I’ve come across in the past year. Also, her blog always takes me to a zen place. Asrap @ Whoa, This is Heavy – Asrap never fails to make me laugh. Never. Anna @ Defiant Success – Any movie I wanna know about, she’s likely got it covered. Any British actor I wanna know about, she’s likely got it covered. Andrew @ Encore’s World of Film and TV – Andrew has a plethora of knowledge on the latest movies and TV shows...and everything British costume drama. Brittani @ Rambling Film – Brittani always tells it how it is, and I love her for that. Cherokee @ Can You Dig It? – Two years ago, Cherokee came to this blog and gave it some life so I could keep going. I literally wouldn't be here if it wasn't for her! Lesya @ Eternity of Dream - She doesn't blog anymore, but I hope that she's working hard on her excellent writing. Again, one of the sweetest people I know! Steven @ Surrender to the Void - Steven has the most in-depth reviews that I've read. Which is awesome. Alex @ Random Film Buff - Her blog always takes me to a zen place, too. And she always has different thoughts on things. Bonjour Tristesse - Along with their blog about blogging tricks, Bonjour specialises in foreign films that I've never even heard of. Which is insanely helpful. Sebastian @ Films from the Supermassive Black Hole - An awesome blog with an awesome love for Joseph Gordon-Levitt, and that's all I need in this world. Pete @ I Love that Film - I love that blog. That's all I have to say. Kano @ Kano's Lay-Z-Boy Theater - There's nothing lazy about the reviewing power that goes on here. Kid in the Front Row Film Blog - Often has inspirational, lovely posts that make me smile. And that's something I always need. Never Too Early Movie Predictions - I can't even predict the Oscars the day before the show, but this guy has it covered until almost the end of the decade! Stephanie and the team @ On Page and Screen - A really sweet blog that looks at both books and movies - which are two things that I can't get enough of! Leith @ Ramble Film - A fellow Kiwi blogger who has the latest on most of the new DVD releases, along with awesome list ideas. SDG @ U, Me and Films - Filled with in-depth reviews from all sorts of eras...he manages to bring a new twist to old-fashioned things. The Vern @ The Vern's Video Vanguard - An awesome blog covering anything and everything...such variety! Dan @ Public Transportation Snob - Another blog with lots of variety, which I love seeing! I've learnt so much from reading this blog. Jandy @ The Frame - Such a lovely blogger who has seen a wide variety of movies, which makes me extremely envious! Maria Sofia @ Film Flare - Has the nicest designed blog in the blogosphere. Seriously. Dan @ Top 10 Films - Dan is a regular commenter here, and also has an extremely awesome blog, filled with a whole lot of lists that I never would have thought of. Ruth and the team @ FlixChatter - A seriously sweet blog site with the most interesting ways of content - Ruth always has a new, fresh spin on things. And the Large Association of Movie Blogs, who have been such a great support over the years. Where would we be without this organisation? I'd also like to thank my awesome friends Maxine and Kieran, who have been helping me with various areas of the redesign all day. And my mother who cooked tea and did dishes and looked after us. A lot of hard work has been going on to make this day work! Again, a HUGE thank you to everyone. Here's to a brighter, fresher future for Cinematic Paradox! HAPPY BLOG BIRTHDAY SOUL SISTA!!!! Congratulations on your big day and thank you for your kind words! I'm delighted to be appointed to your "blogging mother"! Also grats on the facelift of your blog. I liked how you made it a bit cleaner and less messy. And still it's bright and cheerful, it fits your persona very well. Thank you! And thank you for being such a cool blogging mother, haha. Thanks :) I wanted something bright and cheerful. Happy Blogversary! 3 years is something! btw, the new header looks very artsy. I'll be checking the new Top 100, now. Congratulations again, Stevee! Awwwww, thanks for those kind words! One day I'll interview Nolan. One day. Hey, wait a sec... you already did redirect it... I didn't realize, silly me! Hahaha! LOL, sorry! The illusion is shattered! Thanks. And yeah, it did redirect, which is very helpful! Congrats on your birthday and I like the header.. maybe a tiny bit too big but other than than, lovely. I feel for you! We will go through this together! It is so zen because you always right nice stuff in a nice, relaxed way. And it is very white. I am going to resize it, it is quite big! Congrats on the big blogging anniversary, Stevee! That's awesome. Thanks for the kind words. I'm with on you on all the bloggers on your list that I know, and there are a few that I'll definitely be checking out soon! And it's great that you have the new URL! Thank you very muchly! And enjoy the rest of the blogs! Mind you, the British actor thing is new. (Only about nine months or so.) Classic actors, however, that's been around for a while longer. (Classic British actors are another matter.) Hmm...you just gave me an idea for a future post. The blog looks awesome! Very nice job on the images, that must have taken a long time. Also kudos for changing the url, I'd probably never do that fearing that previous links/traffic sources to the site wouldn't work. Thanks so much for the mention and happy blog-anniversary! So happy to see that Cinematic Paradox has come this far! And Stevee, over the years you've improved so, so much in your writing and I'm really glad that you are where you are now! Loving the new look (and url) and thank you for the shout-out. Happy to be the first fan-girl of Cinematic Paradox, haha! Thanks! I'm really happy of where everything is now. A very happy birthday, grasshopper. And count me in as one who loves the tweaks to the site (inc the move to your own url!) You've had one hell of a year this year, and I can't wait to see where you go over the next 365 days! No get off the internet and go have a piece of cake. Thanks! Hopefully the next 365 days are as awesome! Don't worry, I've had a fair bit of cake today. Congratulations! 3 years is amazing! And you're consistently entertaining and do a great job considering like you say you don't go to all these fancy press screenings and stuff! You just have damn good taste (in movies, in other blogs) and your writing is brilliant! Keep it up and thanks for giving me a mention alongside all these other great blogs! Thanks! And yes, you have a very zen place. Your blog is so relaxing, haha. And thank you again! Happy Third Stevee! This one is kinda more special you know, since you scared us couple of months back with your break. But, It is always great to have you back with us and here is to hoping for many more years to come !! Love the new design, everything looks even better than it was previously. But, what surprised me more is how smoothly your domain change went. I mean, I didn't even had to do anything, it redirected itself. Otherwise, we all know that it can turn into a nightmare. You must have done everything just right. And Thanks a lot for the mention. It's great to be amongst that company. Once again, Happy Birthday, Cinematic Paradox !! Yes, those were tough times! Thank you very much! I'm not sure why the redirect/URL change worked so well. I was so worried! Thank you Stevee. Three years is quite an accomplishment. I hope you have another great year. 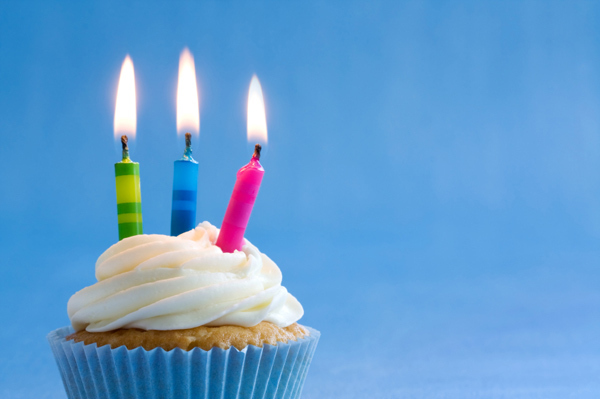 Happy third blog birthday Stevee! Wow, this is fantastic, loving the new design, unsurprisingly it is fantastic. Three years and still going strong, here's to many more! I will return to blogging with time. For now, Letterboxd has sort of become an addiction haha. But don't worry, I will be back and blogging, I really do want to make a return! Thanks! I'm glad you dig the new design. And when you're ready, we'll all be waiting for you! Thank you! Ah, I had to have Ralph in the header. Bless Quiz Show. Congrats on your third blog birthday! :) Love the new look by the way. Three is a magic number! Congratulations Stevee! The new design looks great, and nice to see you've got a new URL too. Also, thanks for including me in that fine list. Thanks! Photoshop took a long time for me to get used to, but I've finally got the hang of it! HAPPY BLOGIVERSARY! Since becoming a LAMB, Cinematic Paradox has been one of my favorite finds. I love your site to death, Stevee, keep it going! And thanks so much for the linkage, that was really nice of you to say! Thank you! I hope to keep it going! Happy Blog Birthday and congratulations! I'M SO SORRY I JUST SAW THIS NOW! I've been so swamped! Thank you so much for the shout out - and I love Pancakes, so no worries there! Your layout and design looks absolutely gorgeous right now! Looking forward to reading your posts forever and always! Happy Birthday and here's to many more anniversaries. Thanks for the mention, you are lovely, too, I always enjoy reading your blog!